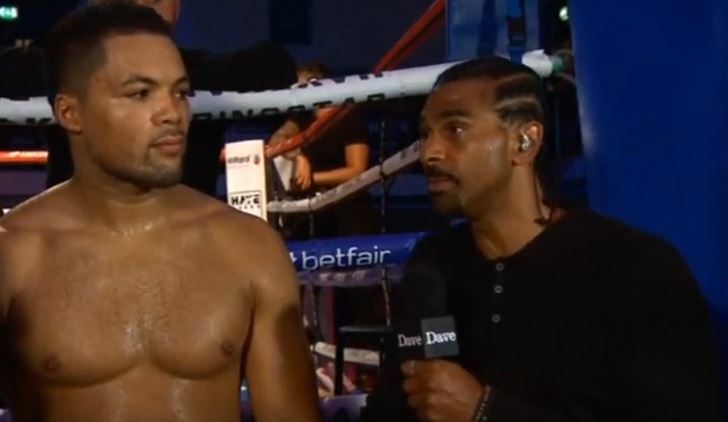 UK heavyweight prospect Joe Joyce, who is promoted by David Haye and Richard Schaefer’s Ringstar, has teamed up with powerful boxing manager Al Haymon in the US. Joyce has started his professional career in the UK but after some easy knockout wins, appears to be making the move to the US for his debut Stateside soon. ✍️🇺🇸 Joe Joyce has teamed up with powerful, US-based advisor Al Haymon who will now help guide his career alongside his current management team moving forwards. Joyce will make his American debut soon. This is the first notable name Haymon has signed in sometime. At least to the best of this writer’s knowledge. Haymon now finds himself having to fight off competition from new promoter Eddie Hearn who is looking to sign fighters to his promotional company and box under the new streaming giant DAZN in the US. Most of Haymon’s fighters box on Showtime, at least the top names, so expect him to try to guard boxers like Deontay Wilder, Danny Garcia and Errol Spence closely. Adrien Broner, also managed by Haymon, turned down an offer in public from Hearn recently. It is thought however that Mikey Garcia could be on the verge of joining Hearn and DAZN – as the war between promoters and networks / platforms heats up Stateside.